This product is currently not available for sale. 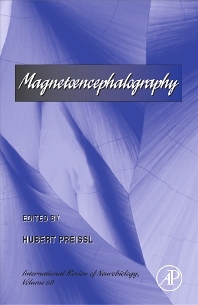 Magnetoencephalography (MEG) is the only neuroimaging method that provides high spatial and temporal information of human brain activation. In addition, MEG is completely non-invasive and allows recordings with minimal preparation time. This makes it suitable to investigate even fetuses in utero. This volume in the International Review of Neurobiology series addresses the most relevant research areas and shows how MEG could be used for investigations over the whole life span in humans. Neurologists, neurosurgeons, neuroradiologists and other neuroscientists who are interested in MEG techniques used for investigations.